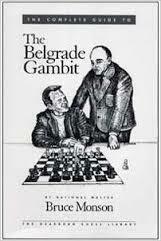 Author Bruce Monson, a National Master, has taken the Belgrade Gambit to an impressive +28 -1 =2 tournament record (+7 =1 against opponents rated between 2150-2500). In 2003 Dorian Rogozenko helped Ruslan Ponomariov to prepare for his later-cancelled match against Garry Kasparov. The subject: the Sicilian Sveshnikov. Now you can have a private training session worthy of a World Champion with this remarkable book, which successfully combines theoretical depth with clear explanations. In New In Chess Yearbook 77 GM Sergei Tiviakov (Elo 2699) gave the book a rave review of 10/10, claiming to be unable to find any faults in it.